In 2017, almost three in four of the 624,000 international students arriving in Australia for study relied on the support of an education agent to get here. Making a decision to study overseas also means navigating the complexities of visa requirements, language barriers, study qualifications and work rights – and with rules constantly changing, the role of education agent has become increasingly important. It’s a high value decision with life-changing implications. So it’s not surprising that students and their parents need expert advice (often in their native language) on where to study, what to study, how to choose the right program – and how to make sure their visa is processed on time. Yet until recently, students and education providers had very little access to data that allowed them to assess the quality of that advice, or the performance of their chosen agent. The use of education agents for study in Australia has grown nine percentage points since 2013 to 74% of international students. This growth is evident across all sectors, with ELICOS showing the greatest dependency at 85% of students, and higher education up 10 ten percentage points to 71% in 2017. It’s also a popular channel in Australia’s most important student markets, especially where English is a second language. 89% of international students from Brazil use an education agent, compared with 67% from Malaysia. While the guidance provided to prospective student by education agents is usually exemplary, there are isolated cases of dishonest or fraudulent behaviour. This in turn creates reputational and quality risks for the international education sector as a whole. That’s why in recent years, the Australian Government has implemented a range of measures to improve transparency amongst international education agents. As part of several reforms to the quality assurance framework for Australia’s international education sector, agent performance data now needs to be published. Students will have access to better data on individual education agents, so they can also make a more informed choice of adviser. As a provider that values and depends on its agent partnerships, Navitas supports the publication of robust education adviser performance data. The student experience often begins with their first meeting with an agent in their home country. Throughout their journey, the student’s experience is our paramount concern and we would use this data to continue to improve the quality of our student services at every stage. Detailed adviser performance data also adds transparency and accountability to provider-adviser relationships, resulting in mutually beneficial outcomes. In our submission to DET, Navitas explored three ways that this data could help build better relationships with education advisers and students. Which advisers consistently deliver highest quality students? Which advisers perform best in specific regions? How are our advisers performing, compared with other providers? With appropriate metrics, we can then undertake detailed analysis to understand why some agents perform better than others, and provide feedback on the evolving relationships with all our advisers. Performance data is also a useful way to evaluate the viability of any potential new relationship. By tracking metrics such as historical visa approval outcomes or student progression rates, we can make more strategic decisions about new agent partnerships. We can only unlock the true potential of education agent performance data when it’s fully integrated into our business intelligence systems. For example, by tracking the numbers of offers or study preference changes via adviser channels and comparing that to our own data, we can reveal powerful insights and trends. These in turn allow us to enhance our benefits for students, partners and education advisers. Along with our colleagues in this sector, Navitas has already highlighted how international education data in general has the potential to unlock new opportunities and manage risk. The publication of robust data on international education agent performance further supports these objectives. We look forward to working with government, the sector and education agents on progressing this important initiative. Department of Education 2019, Publication of Education Agent Performance Data, Policy Paper, Canberra, p.5. 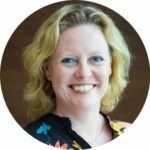 Sarah Lightfoot has been with Navitas for over two years in the role of General Manager, Marketing and Recruitment for Navitas Australasia. In the Australasian region she leads the global Sales and Marketing team and is responsible for connecting student recruitment, brand strategy and marketing, to transform the customer journey while ensuring the company achieves significant growth. Prior to this Sarah was the Director of Sales and Marketing working across two divisions within Navitas - the Professional and English Programs Division and University Partnerships Division. For over 15 years Sarah has developed strategic marketing, communications and change leadership skills through a range of roles in both the public and private sectors having held previous positons with The University of NSW (UNSW) and Western Sydney University. As an expert mediator who thrives when leading transformational changes in business, Sarah has proven her passion for enhancing the customer experience and improving business outcomes in digital transformation. Outside higher education her interests extend to service industries, EdTechs, not for profits, global NGOS, professional bodies and lifelong learning providers.